Our homes and businesses are such a valued asset and a place of security and peace of mind. When disaster shakes our foundation and damages your home or business, it can be a very traumatic experience. 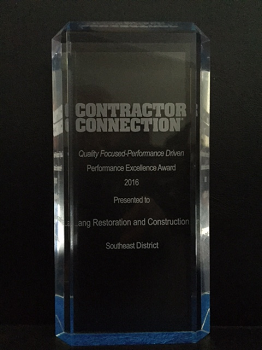 We specialize is restoring your property to its previous condition or even better. We are a trusted storm, fire & water damage restoration company in Atlanta and look forward to earning your business. 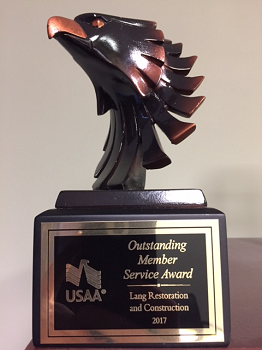 Lang Restoration & Construction is a Service-Disabled Veteran-Owned Small Business (SDVOSB) that has an immaculate reputation in residential & commercial loss mitigation, remediation, and restoration services. Since 1994, we have specialized in fire, water, smoke, soot, wind & mold disaster clean ups. Contact us today for a complimentary consultation. What makes Lang Restoration & Construction so different? We are locally owned and operated and an active part of the Atlanta community. We treat all of our clients like they are family and of the utmost importance. You can trust that Lang will treat you right, each time and every time, whether it is storm, fire or water damage. When disaster damages your property, call Lang. It takes hard work, dedication, a commitment to quality & above all, expertise to restore and repair your property. As a leader in restoration companies in Atlanta, we utilize the latest equipment & technology available to ensure quality and efficiency when restoring your property. Our professional technicians train continuously to remain current in the constantly evolving technology of restoration services. In addition to their skills, you will also find them to be friendly, courteous & accommodating. Since we are a provider to the insurance industry, we can coordinate with claims personnel from the onset of a loss. We are there throughout the entire claims process to the final settlement, thereby offering a smooth resolution experience for both property owners & claims professionals. Lang Restoration & Construction is always there for you when disaster strikes.